There are 3 reviews of Gucci Guilty Eau pour Homme. Gucci Guilty Eau is a fresh, citrus scent. It begins with a citrus hit from lemon and bergamot, meshing with the exotic fruity heart notes of orris and orange blossom - a delicate, spiffy combination! (Can't figure out what the "snowberry" note - not listed above - actually smells like.) Combined with the patchouli-musk foundation, Gucci Guilty Eau ends up as tangy, powdery, and having a subtle touch of floral fruit and sweetness. Very nicely made and great to wear for casual occasions any time of day. 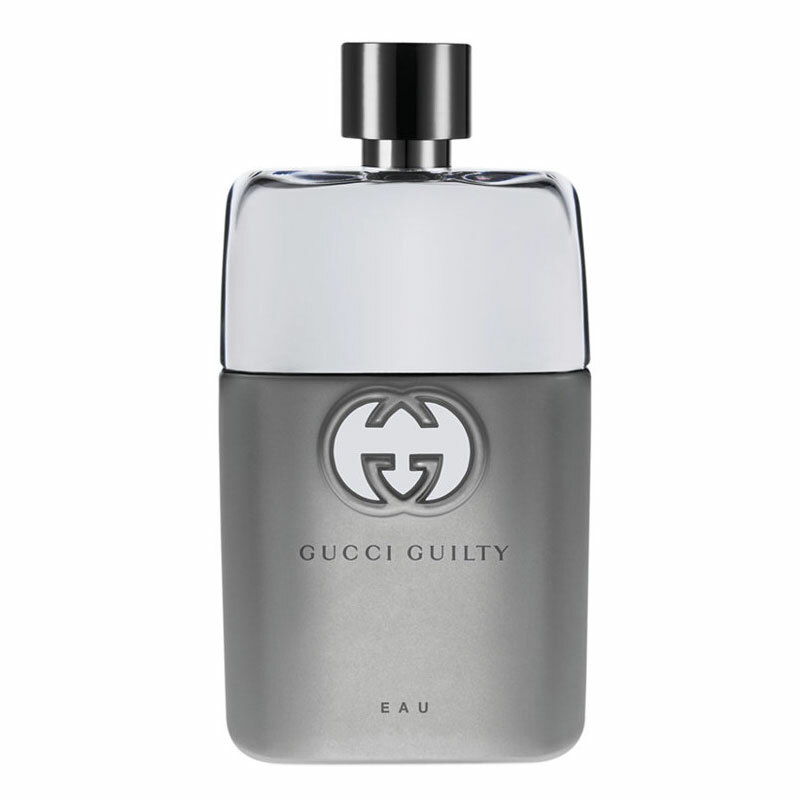 Guilty Eau seems to be exactly what it's name implies, a lighter, more watery version of Gucci Guilty. It's very fresh and synthetic, so it should get compliments. Projection is decent for the first 3-4 hours and then it sits closer to skin. You can still smell it on your skin after 9-10 hours. A slightly orangey and lemony mix, with touches ofnbergamot and overripe sweet grapefruits opens this olfactory journey. This opening is not too bad, but a bit watery. Orange blossoms, whiffs of muguet and a bit of iris develop in the drydown, whilst the base is dominated by a sweetish-musky note and a soft, somewhat perfunctory patchouli. I get moderate soft sillage, good projection and seven hours of longevity on my skin. This spring scent's top notes are bearable, albeit a touch dull, but the rest never develops into anything satisfactory on me, including the iris impression. The heart notes and the base are atrociously chemical, straight from the laboratory. A slightly fruity and sweetish undertone displays the same artificiality, but the more into the base it goes, the more generic and unoriginal it becomes. Gucci has produced some wonderful classics, but this is possibly a nadir in the olfactory history of this house. 1.5/5. Lot of 14: Gucci | GUILTY | Eau de Toilette | Men | 0.05 fl. oz. There are no member images of Gucci Guilty Eau pour Homme yet. Why not be the first?